This seemingly noble position is a necessary one as there are many obstacles facing forced migrants wishing to pursue University education – the most significant of which is that student loans are not available to: asylum seekers claiming refugee status; refused asylum seekers; or those with discretionary leave to remain in the UK. As the majority of these persons are also prohibited from working, University fees remove any possibility of their accessing higher education. For refugees (who are able to access student loans) a number of other barriers apply, including: the lack of evidence of former qualifications; language issues; or difficulties in transferring qualifying qualifications – obstacles that are also faced by other forced migrants. As a result of these difficulties, many refugee and asylum-seeking students will be asked to complete a foundation year before undertaking their undergraduate degree to improve their language capabilities and skills set. Yet despite the fact that foundation year fees are over £17,000 per year, there is no Government funding available for foundation year students. Though refugees can access Government funding for their main degree, the need to complete a foundation year represents a further institutional and economic barrier preventing forced migrants from accessing University. For many forced migrant students, education is a form of emancipation. Aside from the trauma of being forced to flee their countries of origin, many forced migrants are re-traumatised by the bureaucracy and inhumanity of the UK’s asylum system. Upon reaching the UK, for example, asylum seekers are prohibited from working and provided with approximately £5.00 per day to cater for all food, travel, clothing and socialising costs. Many individuals will be separated from their families, unable to speak the English language and threatened with the constant fear of detention or even worse; refusal and deportation. As a result, many individuals report feelings of hopelessness, frustration and abandon. Providing access to education is a means of investing in these students, increasing integration, and ensuring that they flourish in reaching their full potential. Education has a positive outcome for the individual, their families and wider society. The University of Bristol has attempted to ameliorate some of the difficulties faced by forced migrants by establishing the University of Bristol Sanctuary Scholarship Scheme. Since September 2016, Bristol has welcomed 18 students at foundation, undergraduate, masters and PhD level. 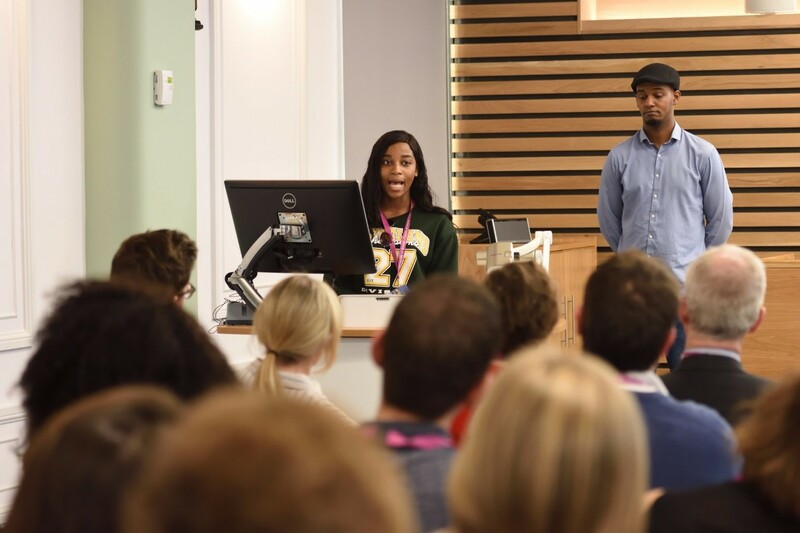 The scholarship offered by Bristol is one of the most open schemes available and offers funding towards living costs and tuition fees, taking into account any government financial support which might be available. Those entitled to apply for a Sanctuary Scholarship include: asylum seekers; refugees; those granted humanitarian protection or limited leave to remain; and the dependents of any of these status groups in recognition that they are also from asylum seeking backgrounds. I will be forever grateful to the University of Bristol for their noble and generous Sanctuary Scholarship. It is thanks to this Scholarship that I have been able to undertake a Master’s degree in the Faculty of Engineering. I have since been awarded a PhD studentship at the University. This would not have been possible without the Sanctuary Scholarship during my Master’s degree. I really thank the Scholarship team for believing in me. For the remaining sanctuary scholars continuing their studies, the future is bright. A future that would not be possible without the institutional and managerial support of the University of Bristol. The Sanctuary Scholarship Working Group responsible for establishing the scheme is diverse, made up of staff from finance, academia, admissions, immigration, fundraising and widening participation. Though these staff come from a variety of disciplines, all members are united in a common cause – removing barriers to higher education for those most in need – a privilege that is ever more apparent each year when we receive applications from hundreds of gifted and eager students who are unable to pursue their education due to circumstances beyond their control. If you want more information on the University of Bristol Sanctuary Scholarship Scheme please visit http://www.bristol.ac.uk/fees-funding/awards/sanctuary-scholarship/ or watch the short scholarship video at https://www.youtube.com/watch?v=EfBUiih3RoY where you can find out information on ways to donate and support the future of the scheme. * This post was first published by the Association of Commonwealth Universities, and is now reposted here with thanks. Great opportunity ! I Thanks the University of Bristol for their noble and generous Sanctuary Scholarship.